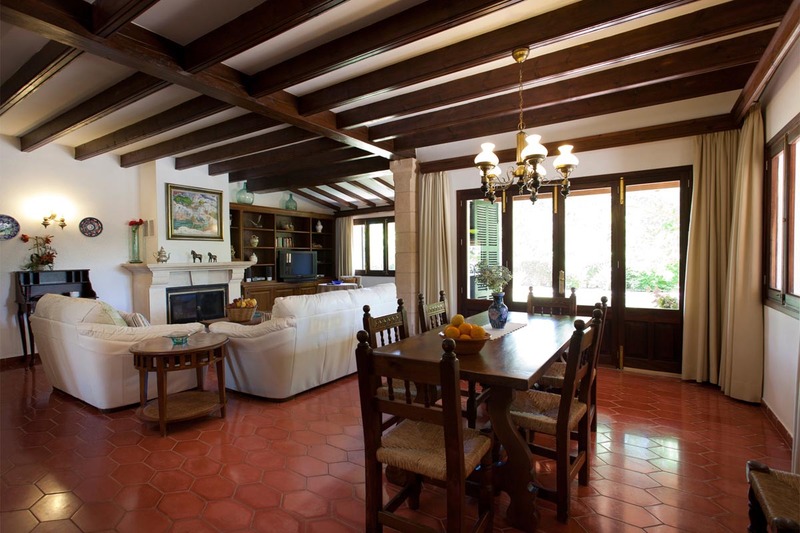 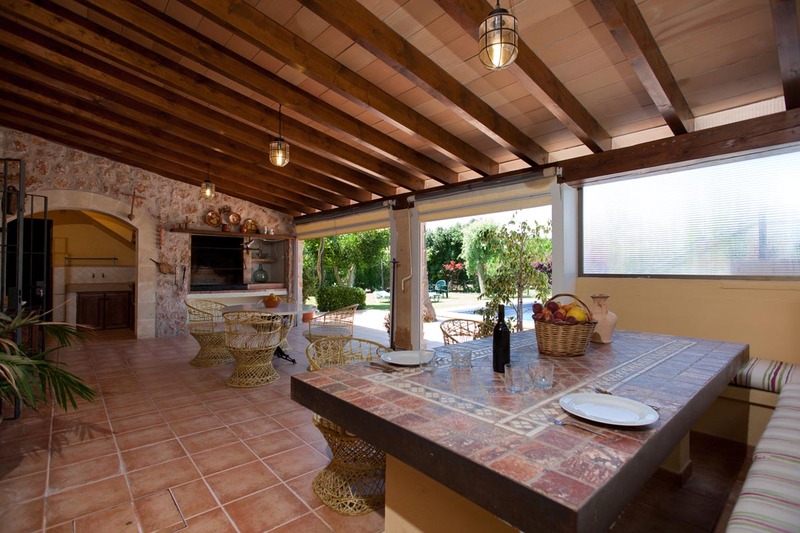 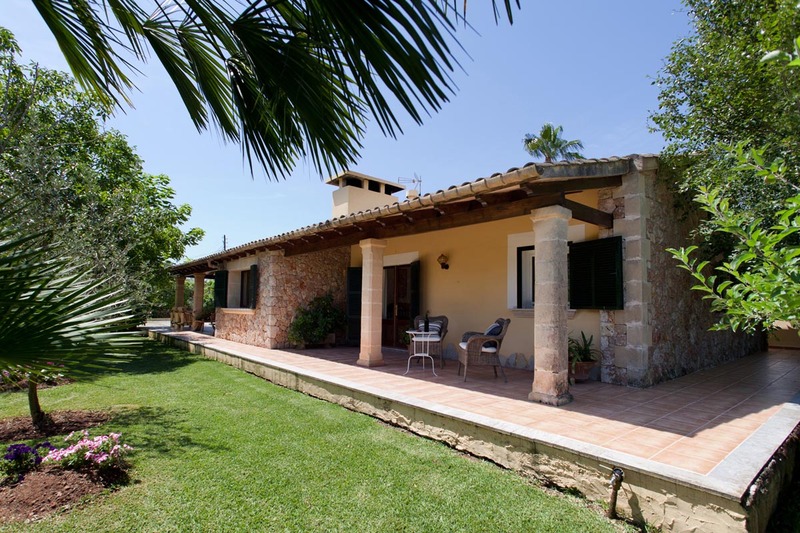 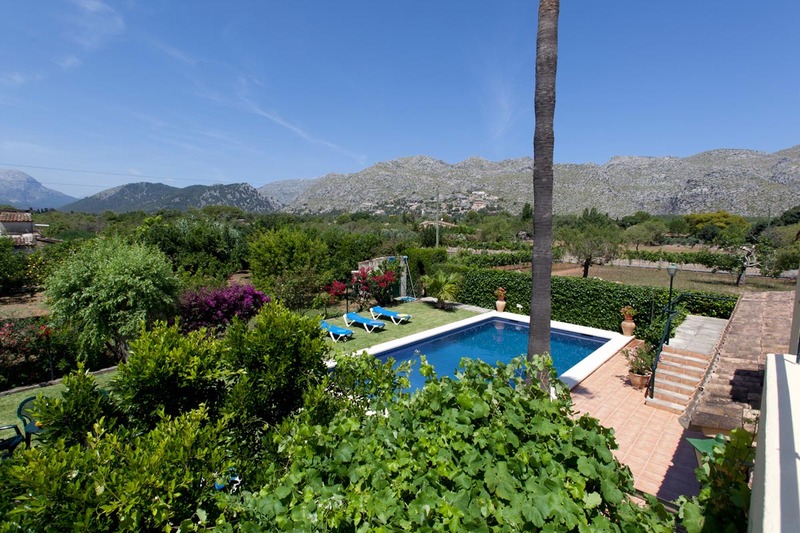 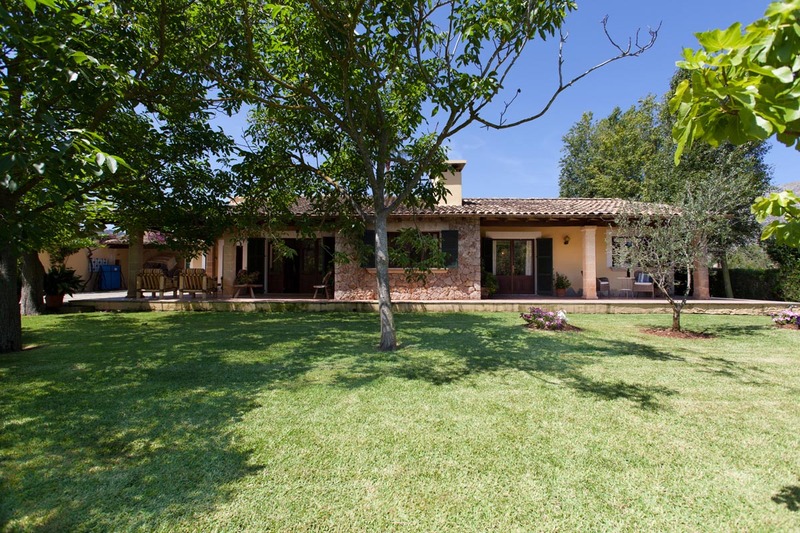 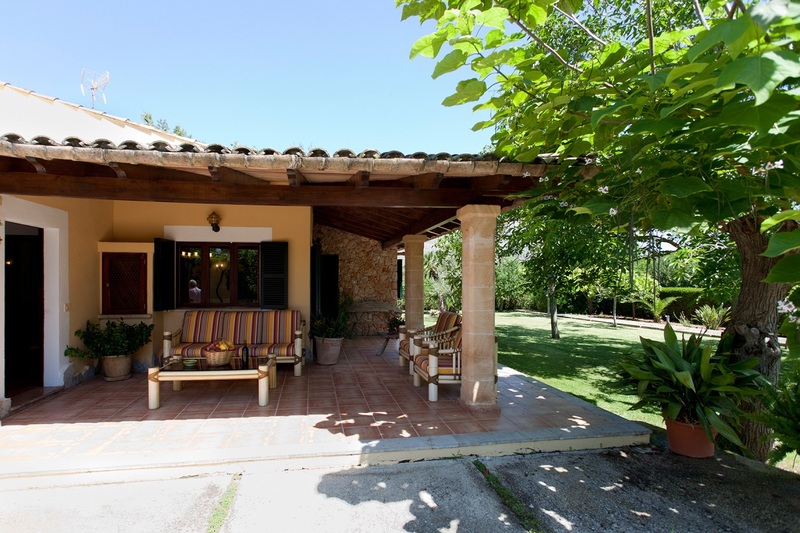 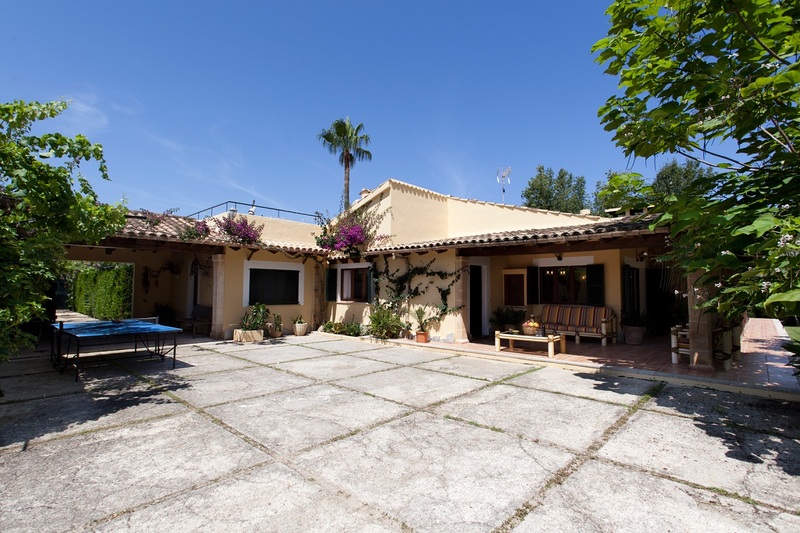 Villa Estades Gran is a character Mallorcan family villa just five minutes drive from the Old town of Pollensa. 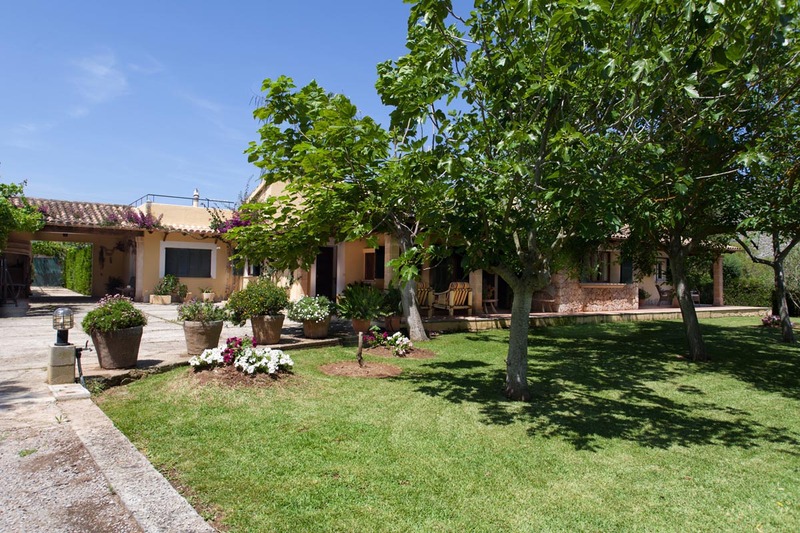 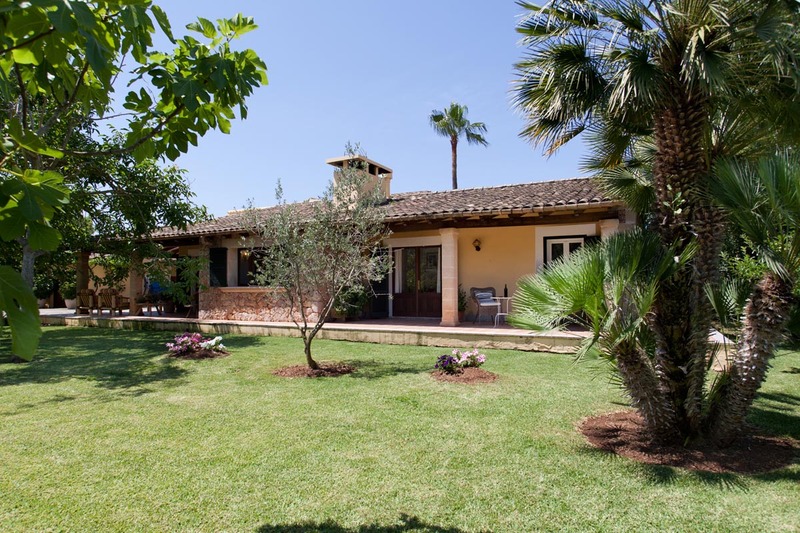 It is surrounded by beautiful gardens with citrus trees, tall palms, olive trees and Mediterranean plants. 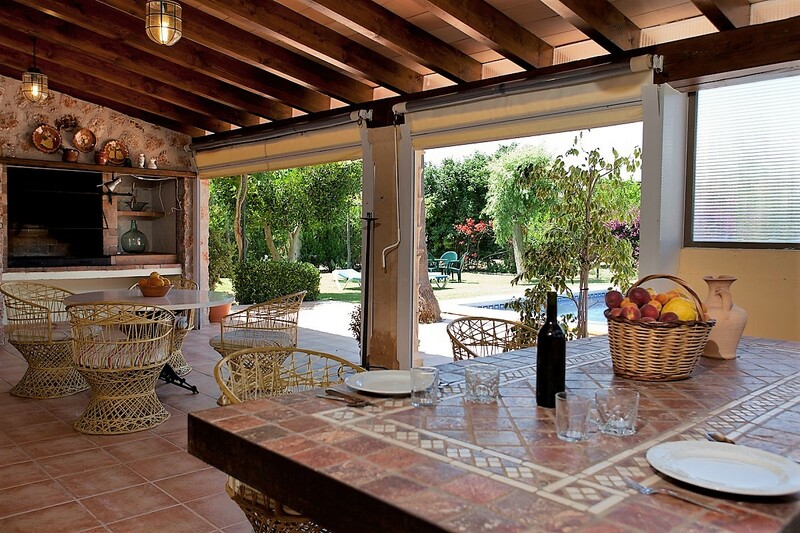 It has a lovely family-sized pool with a sunbathing terrace and spacious lawned garden. 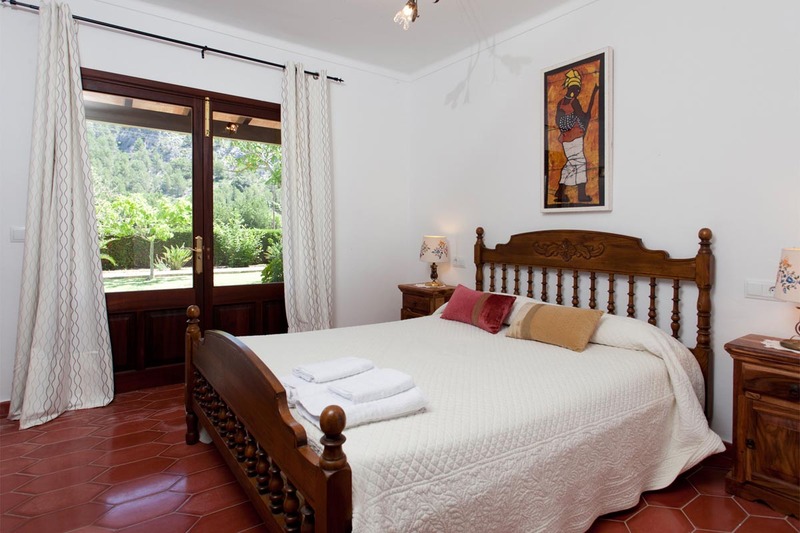 Inside, the villa is simple and practical with whitewashed walls, traditional furniture and tiled floors. 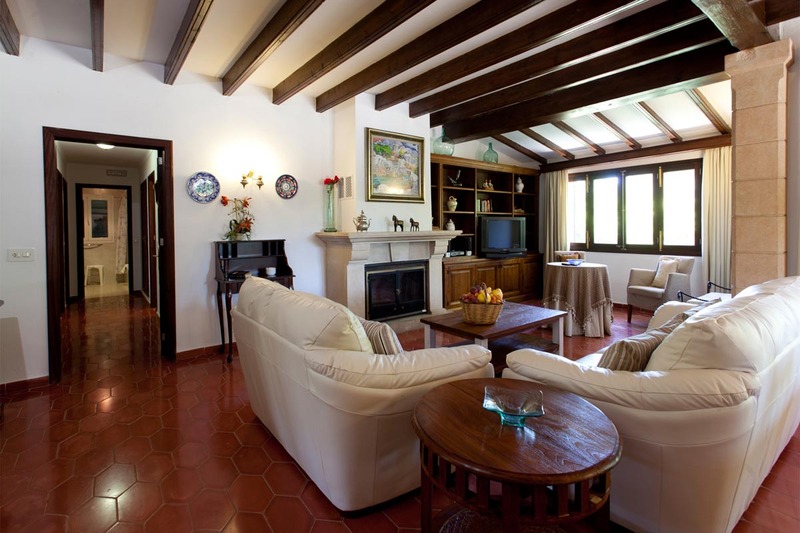 In the lounge and dining room there is a comfortable seating area with comfortable sofas, and wood-burning stove for cosy evenings on autumn or spring holidays. 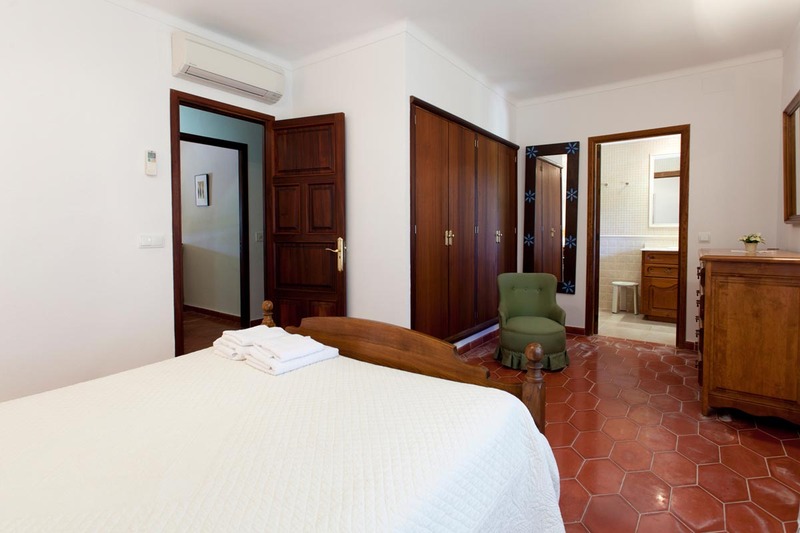 The bedrooms comprise three twin bedrooms and one double. 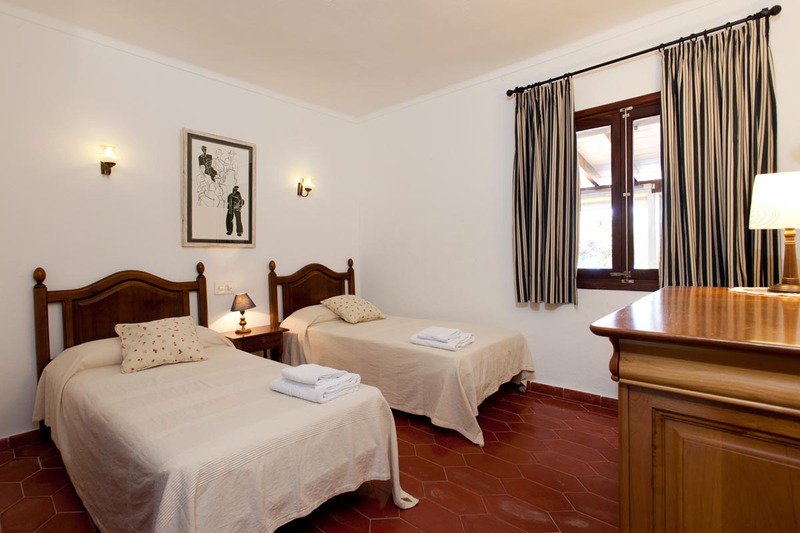 The twins share a bathroom with full bath and the double bedroom has its own en suite shower room. 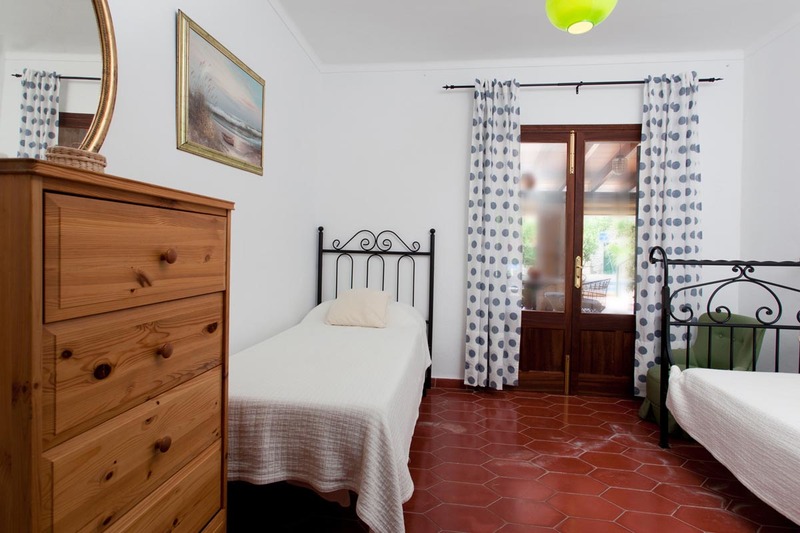 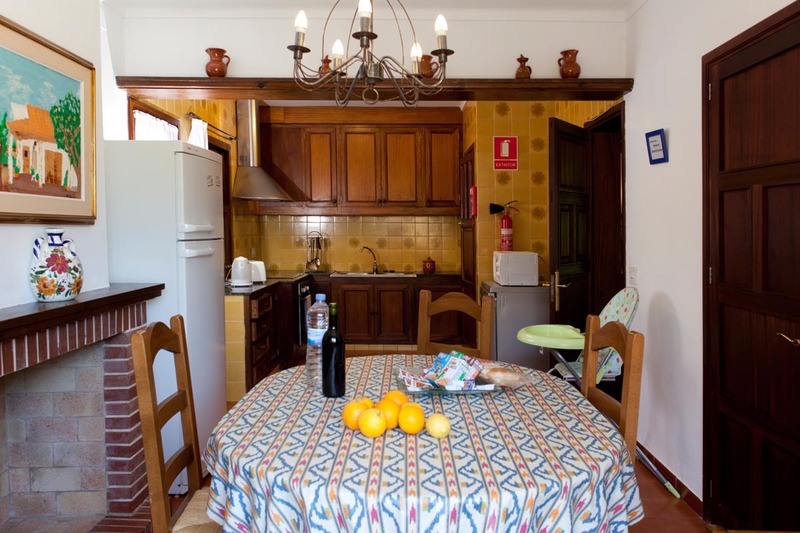 All the bedrooms have air conditioning and are bright with white walls, tiled floors and are simply furnished. 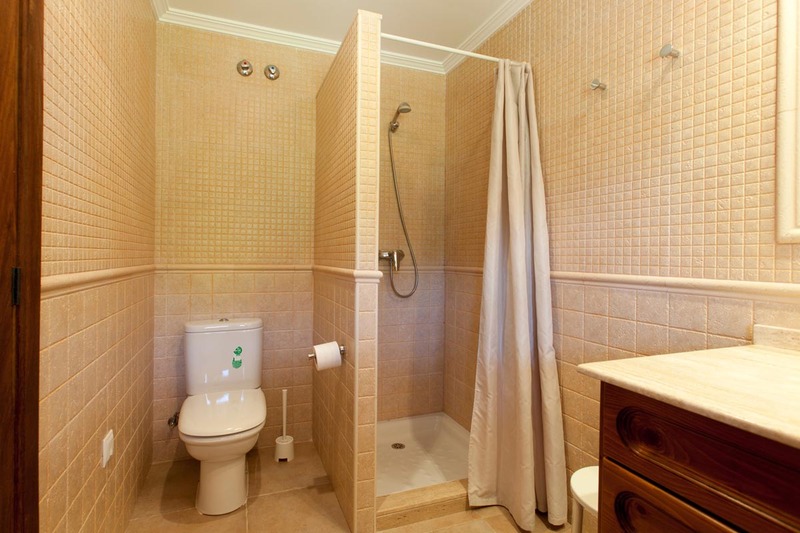 There is also an extra shower bathroom close to the utility room. 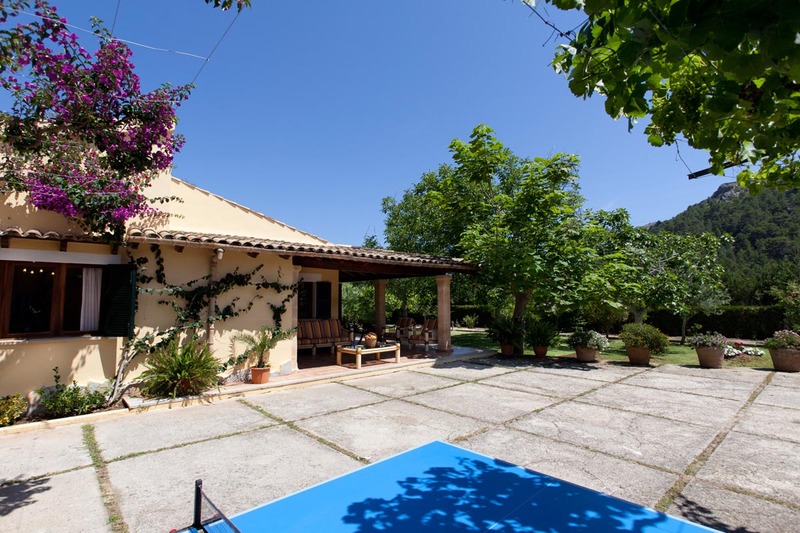 There is no shortage of outside space at Estades Gran with ample car parking space on the drive at the front of the house, spacious lawned gardens, a covered terrace and the swimming pool which makes this an ideal property for families with children. 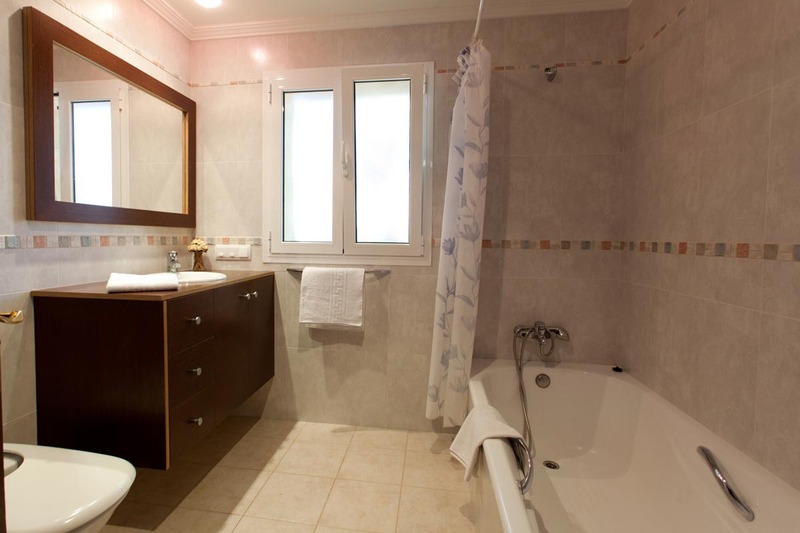 Distance to town: 3 Km (approx). 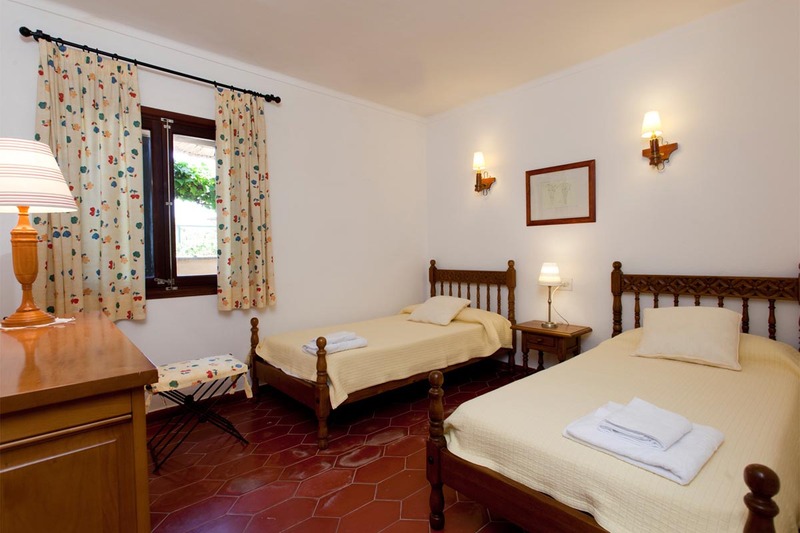 Arrival Days: Any* | *From 30th June to 30th August Saturday to Saturday.